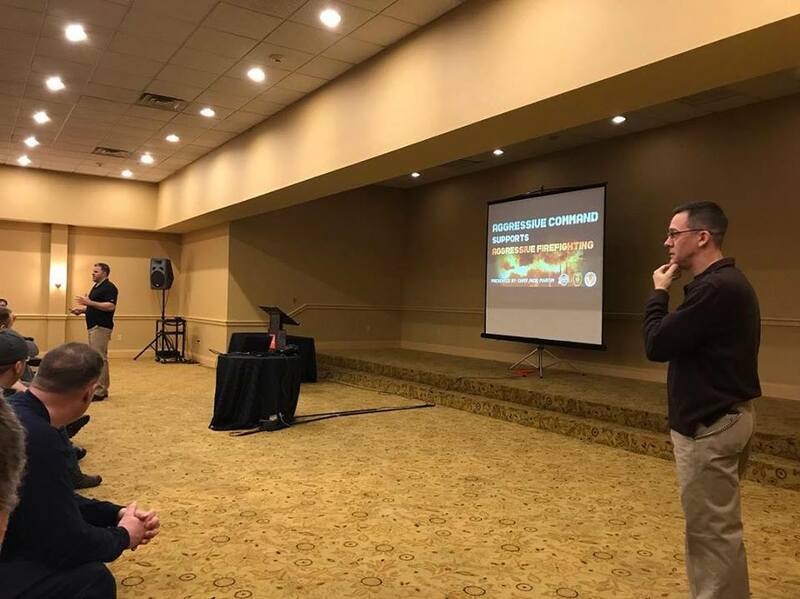 01/05/19 – Today, Fire Chief Dave Keens, Chauffeur Scott Hershey and Fireman Brett Fassnacht are attending a fire-ground command class at Red Lion Hotel in Harrisburg. The class is hosted by Swatara Township Fire Rescue and presented by Battalion Chiefs Nick Martin (Salisbury, NC) and Floyd Wise (Harrisburg, PA). 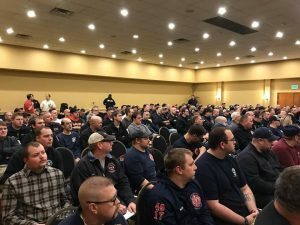 There are close to 200 area firefighters in attendance for the course. The members are discussing practical theories and tactics for current day challenges that fire-ground incident commanders face. 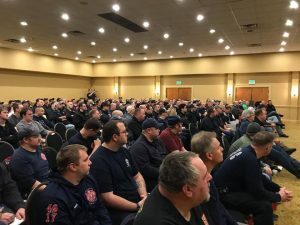 This will help us maintain a progressive ideology toward the firefighting culture. We’d like to thank Swatara Fire Rescue for making today’s class possible.